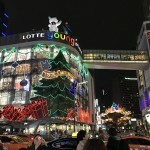 Myeongdong Kyoja – took me a while to locate this place, but it was worth it. 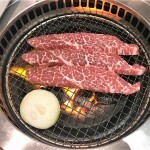 Having done no food research on my own, Myeongdong Kyoja was a recommendation by a friend. To be fair, this isn’t anything like the dumpling soup we have in Singapore, but that’s probably the closest representation. 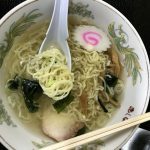 The broth is thicker and more flavourful, and the noodles, more al dente. 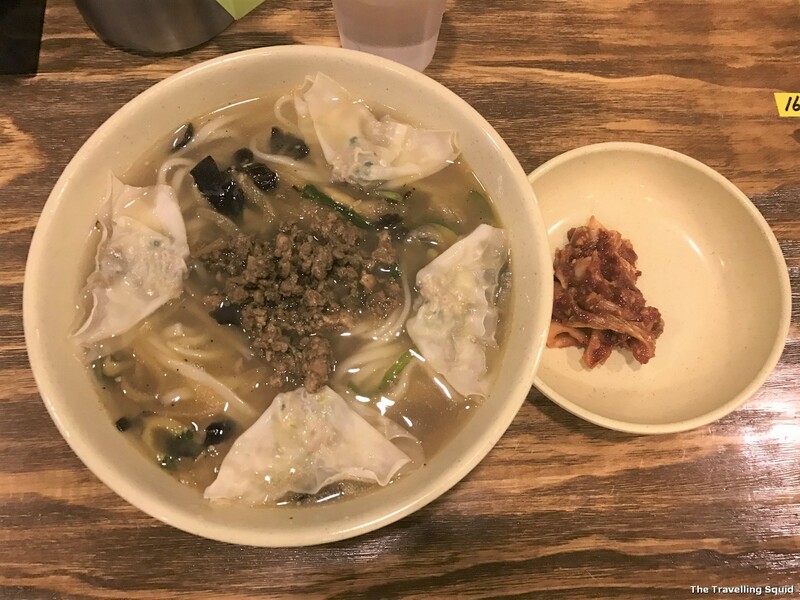 The restaurant was packed with both locals and tourists alike, a sign that I had made the right choice – to have the best soup noodles at Myeongdong Kyoja. Packed restaurant despite a very small menu. 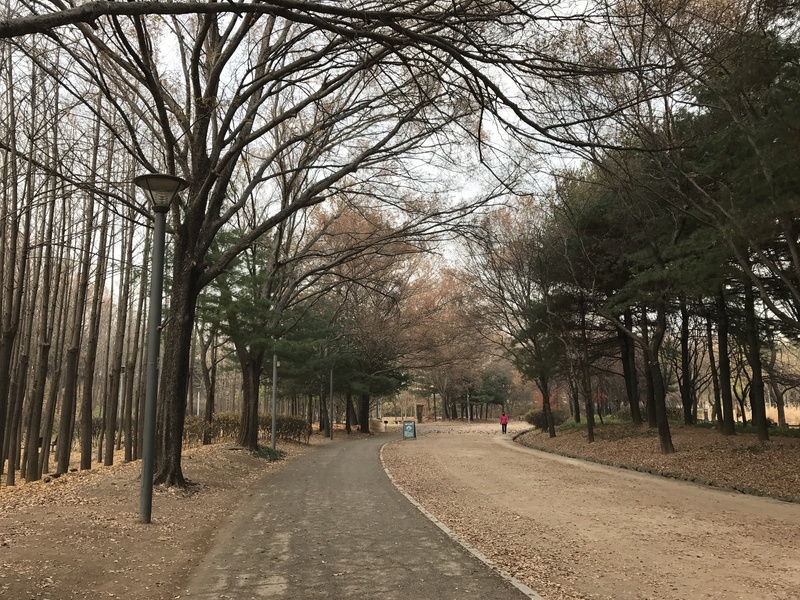 I was in Myeongdong at the last evening of our trip – I was on the lookout to buy some kimchi and seaweed back, and was rather tired from all the shopping around. The restaurant was packed during dinner time, but it was easy to get a seat just for one. The menu is limited – but there’s anything else you’d need. 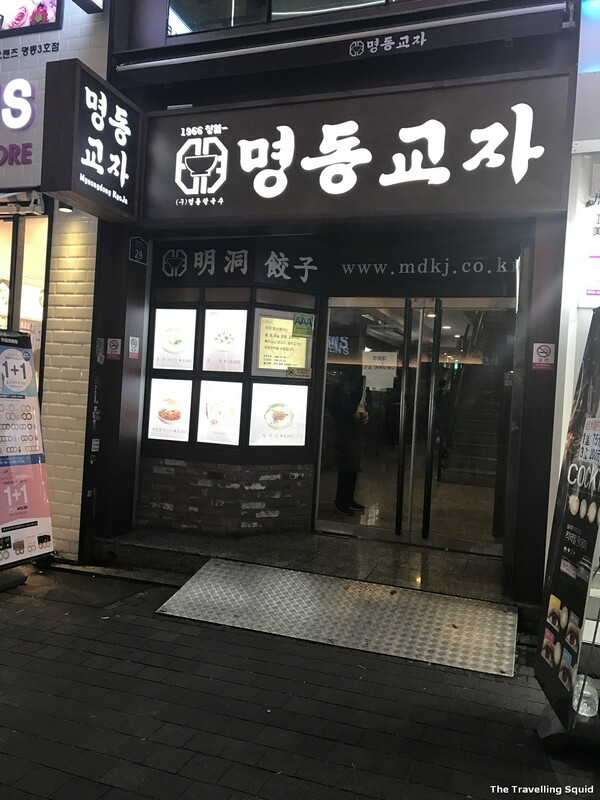 According to Visit Korea, Myeongdong Kyoja is a noodle restaurant located near Myeongdong Central, that has been in business for about 40 years. 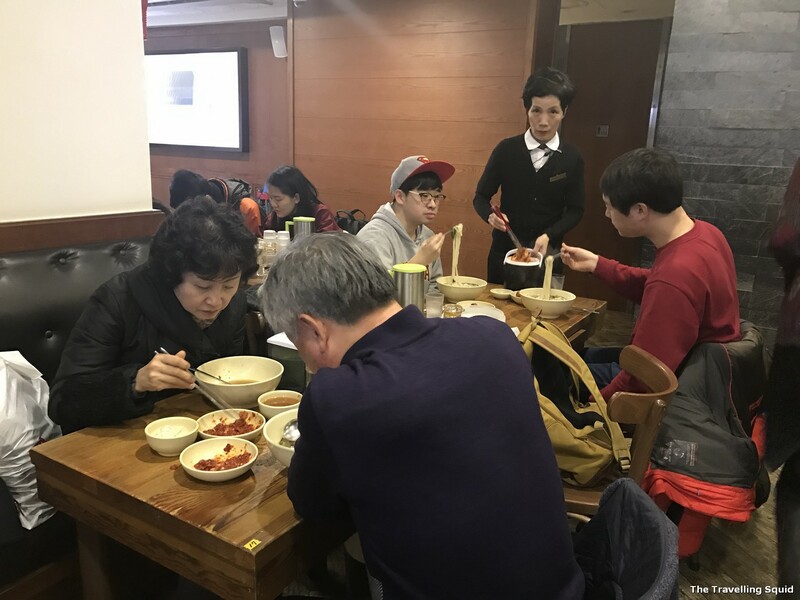 The restaurant is known for the knife-cut, handmade kalguksu (noodle soup) which is its main menu item, which is served in a deep and flavourful broth with meat and vegetables. 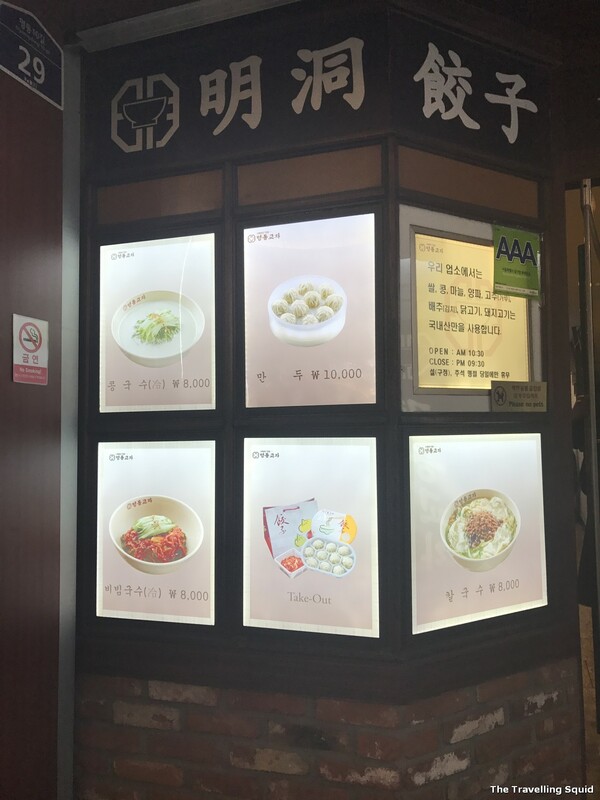 Also popular are the mandu (dumplings), bibim guksu (spicy noodles), and kongguksu (noodles in cold soybean soup). 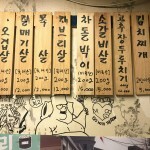 Myeongdong Kyoja soup dumpling noodles. It was pretty good. I was tempted to order the 汤包，which came in batches of 6. Which was too much as I was there alone. So I made do with the dumpling soup. Which was a bowl of really yummy al dente noodles. It tasted like really good La Mian with a delish soup broth. 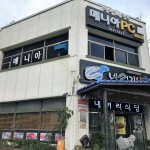 I found this particular restaurant interesting due to its concept for solitary eaters. I heard that there is a similar concept in Japan, where people sitting alone get enclosed seats, with a board right in front of them. In other words, you don’t have to look into the eyes of a stranger while you eat. There was a Korean ‘otaku’ seated right in front of me. 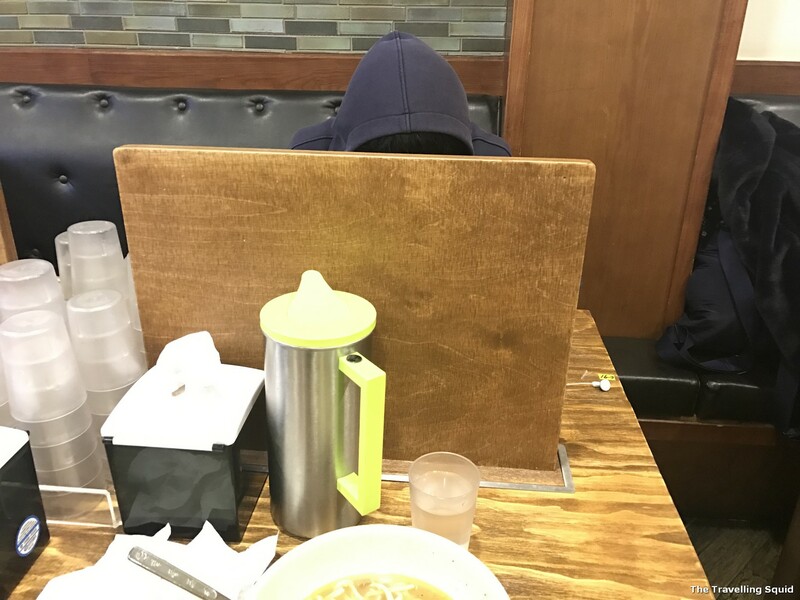 He had his hood up, and after some movements while making his order, I realised he had acne in his face. I’m not a loner but I must say it I tend to appreciate some alone time. Minus the inconvenience caused due to a Wifi egg which died, it was really quite fun, observing people from that barrier in front of me.